Installing new windows is a considerable investment. Your windows protect your family and home from the outside elements. When the weather outside is pleasant though, their actual condition may not be apparent. But when the days are hot or the nights cold, and you find your furnace or air conditioner working overtime you can certainly tell. Outdated or damaged windows can prove to be a liability to both your home and your wallet. Because of this, it is important to be able to identify problem windows early. Below are 5 reasons you may want to consider window replacements. Over time the seals between panes of insulated glass can fail. When this happens, the fill gas escapes and with it go the insulating properties of your windows. This becomes apparent when fog and condensation appear between the panes. Damaged seals need to be remedied or you lose money due to heating/cooling loss through failed insulating properties. Can you tell how windy it is outside by passing near a closed window? You should never be able to feel the wind blowing through your windows and if you do they are likely allowing heat exchange between the inside and outside (costing you money). There are several reasons for drafty windows; they may be damaged, improperly installed, the weather stripping is worn, or the caulking is dried & cracked. This condition can also cause moisture to leak leaving behind small pools of water or water stains on your windowsill and wall and you can risk moisture damage to the frame and mold growth. Drafts often occur if your window no longer shuts properly. If the frame is warped or if the locking mechanism is no longer functioning then you will likely experience drafty windows. The locking mechanism helps to keep the window closed tightly, sealing outside air from inside air. Saving you money on heating and cooling costs. Not to mention, a failed window lock is a great security concern for your home. If you’ve lived in your home for multiple years, you likely have the ability to compare energy bills from the past few years. Don’t just look at the money spent, but examine the electricity or natural gas (depending on your heating & cooling methods) used. Compare with the same months of previous years and if you see a marked increase in usage, which may be an indication that your windows are not as efficient as they once were. Some utility service providers offer online analytics tools that can help you track your energy usage, making the comparison a breeze. Take a walk around your home to open and close each window to check for smooth and almost effortless operation. If you find you are getting a workout just trying to open your windows or are having trouble getting them to stay open without your assistance then you may want to consider replacement. This is particularly common with wood framed windows due to the warping and swelling of frames. Other general wear and tear over time can make your windows difficult to operate due to failing hardware such as worn crank gears or debris buildup/damage to the roller system. Not only a hassle, but a safety concern should you need to exit your home through a window during an emergency situation such as a fire. If your windows are closed and you still hear outside noise as if they were open then they are not providing the sort of acoustic insulation we would expect. Modern double paned and insulated glass windows are designed to reduce sound transmission. If you can clearly hear the outside world from inside, this likely indicates old and outdated windows. New energy efficient windows will absorb sound waves and greatly improve your quality of life inside your home. If your windows are giving you any of these hints, it’s time to consider replacing them with efficient and quality modern windows. Upgrading your windows is a worthwhile investment that will pay dividends. Finding a quality glass company is as important as the windows themselves. At B & L Glass Company, our expert staff will be able to guide you through any glass project from start to finish. Call or contact us online today to learn more about our services and to have any of your questions answered. 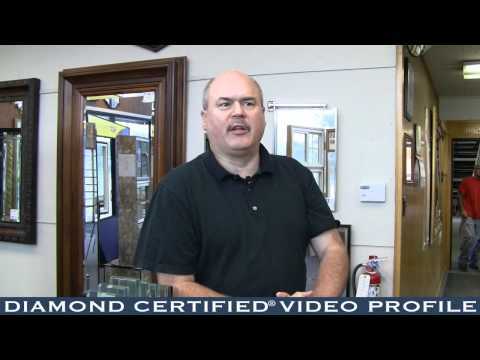 Let B & L Glass Company take the “pane” out of installing your new windows.